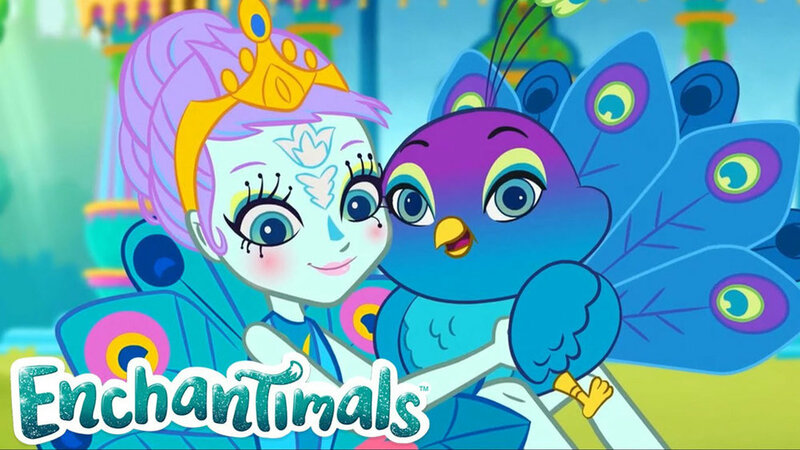 Enchantimals “Finding Home”, things get a bit wild when the girls discover a peacock Enchantimal and her bestie lost in the woods. Each pair of Enchantimals offers to share their home with the newcomers, but none feel quite right for the feathery friends. When the peacock bestie goes missing, all the girls band together to find him, discovering along the way the true meaning of home.